Data security is as important now as it’s ever been before. We’re all aware of the importance of keeping our personal data secure and at Woodlands and we understand that when we hold data, and we have a responsibility to protect it. 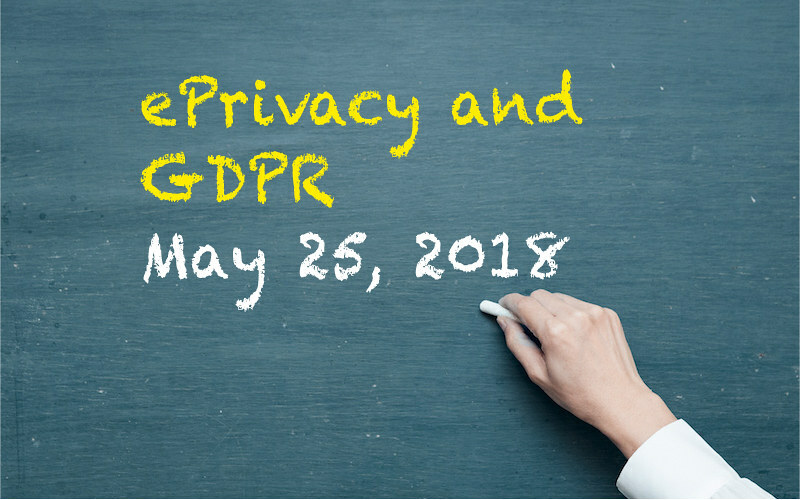 We’ve updated our privacy notice in line with the new laws on data protection – the General Data Protection Regulations (GDPR) – which come into force in the UK on Friday 25 May. As a result, we wanted to let you know your data is in safe hands. Parents who are SIMS Parent App users you can access and amend the data we hold there otherwise please contact us via Contact Us Page. This notice explains what personal data (information) we hold about staff, how we collect it, how we use it and how we may share it. We are required to provide staff with this information under data protection law. Woodlands Community College collects, uses and is responsible for certain personal information about staff. When we do so we are regulated under the General Data Protection Regulation which applies across the European Union (including in the United Kingdom) and we are responsible as ‘controller’ of that personal information for the purposes of those laws. Our Data Protection Officer is Mrs Jenny Edwards, Business Manager. We process this information to comply with our statutory obligations (GDPR Article 6 Section 1c), and to carry out tasks in the public interest (GDPR Article 6 Section 1e). If we need to collect special category (sensitive) personal information, we rely upon reasons of substantial public interest (equality of opportunity or treatment GDPR Article 9 Sections b and g). We are required to share information about our workforce members under section 5 of the Education (Supply of Information about the School Workforce) (England) Regulations 2007. Whilst the majority of information that staff provide to us is mandatory, some of it is provided to us on a voluntary basis. In order to comply with data protection legislation, we will inform staff whether they are required to provide certain school workforce information to us or if they have a choice in this. We hold school workforce data in accordance with Southampton CC Retention Policy. We share personal data with the Department for Education (DfE) on a statutory basis. This data sharing underpins workforce policy monitoring, evaluation, and links to school funding/expenditure and the assessment educational attainment. We share personal data with Capita HR so that we can make salary payments, pension deductions, tax and national insurance contributions and administer your pension. For further information on how Capita Plc use your information please and your rights please contact Capita HR Pay hrs-southampton@capita-services.co.uk or Capita HR Pay, 1st Floor, One Guildhall Square. Southampton, SO14 7FP. Under data protection legislation, staff have the right to request access to information about them that we hold. To make a request for your personal information, contact Mrs Jenny Edwards, Business Manager, jenny.edwards@woodlands.southampton.sch.uk. If you have a concern about the way we are collecting or using your personal data, we ask that you raise your concern with us in the first instance. Alternatively, you can contact the Information Commissioner’s Office at https://ico.org.uk/concerns/. This notice explains what personal data (information) we hold about students, how we collect it, how we use it and how we may share the information. We are required to provide this information under data protection law. Woodlands Community College collects, uses and is responsible for certain personal information about students. When we do so we are regulated under the General Data Protection Regulation which applies across the European Union (including in the United Kingdom) and we are responsible as ‘controller’ of that personal information for the purposes of those laws. 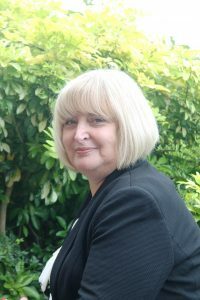 Our Data Protection Officer is Mrs Jenny Edwards, Business Manager. We collect and use pupil information under Article 6 & 9 of EU General Data Protection Regulations (GDPR) to ensure the school carries out its duties lawfully and appropriately. Pupil data is essential for the schools’ operational use. Whilst the majority of pupil information you provide to us is mandatory, some of it requested on a voluntary basis in support of exercising our official tasks. In order to comply with the data protection legislation, we will inform you at the point of collection, whether you are required to provide certain pupil information to us or if you have a choice in this. The local authority will hold pupil data in accordance with its Record Retention Schedule (RMPP 002, version 9.004). The school will hold pupil data until the pupil reaches 25 years of age. Meet our statutory duty to create and maintain an admission register under the Education (Pupil Registration) (England) Regulations 2006 and subsequent amendments, without which schools are unable to enrol a pupil. Support teaching and learning. In order to facilitate this, we may share information with the software supplier (listed at the end of this document) to set up the systems needed for pupils and parent/carers to access. Provide appropriate pastoral care (Keeping Children Safe in Education 2018). Share data with professionals commissioned by the school or working with a pupil such as the School Nurse or health services. Comply with our statutory duty under the Education (Pupil Information) (England) Regulations 2005 Statutory Instrument and subsequent amendments in The Education (Pupil Information) (England) (Amendment) 2008 to create a Common Transfer File when a child ceases to be registered at a school and becomes a registered pupil at another school in England or Wales. This would also apply to pupils who are dually registered at more than one school. If a Common Transfer File cannot be sent to a new school when a pupil leaves, one must be sent to the DfE Lost Pupil Database. Send pupil information to Southampton City Council on a regular basis in accordance with our information sharing agreement to enable the local authority to meet its duty under data protection legislation to ensure that the data it holds is accurate and also to carry out its official functions, or a task, in the public interest. Notify Southampton City Council on a termly basis of all pupils on a reduced timetable so that the local authority can comply with statutory Ofsted requests for data at the time of inspection. Comply with the statutory requirements of the Education (Pupil Registration) (England) Regulations 2006 and subsequent amendments, notifying Southampton City Council if a child leaves the school and providing forwarding details. A failure to provide this information will result in pupils being record as a “Child Missing Education”, in accordance with the government definition. Provide attendance information to Southampton City Council so that it’s duties under the Anti-Social Behaviour Act 2003, Section 444 of the Education Act 1996 and Section 36 of the Children Act 1989 (Education Supervision Orders) can be met. Provide exclusion information to Southampton City Council so that its duty Under Section 19 of the Education Act 1996 can be met. Meet our duty to provide information about any exclusions within the last 12 months to the Secretary of State and (in the case of maintained schools and PRUs) the local authority, in accordance with The Education (Information About Individual Pupils) (England) Regulations 2006. The information shared is limited to the child’s name, address and date of birth. However where a parent or guardian provides their consent, other information relevant to the provision of youth support services will be shared. This right is transferred to the pupil once they reach the age 16. Data is securely transferred to the youth support service via the Southampton City Council Secure File Transfer website. We may also share certain personal data relating to children aged 16 and over with post-16 education and training providers in order to secure appropriate services for them. A parent/carer can request that only their child’s name, address and date of birth be passed to Southampton Local Authority by informing Mrs Jenny Edwards, Business Manager, at jenny.edwards@woodlands.southampton.sch.uk. This right is transferred to the child once he/she reaches the age 16. Under data protection legislation, parents and pupils have the right to request access to information about them that we hold. To make a request for your personal information, or be given access to your child’s educational record, contact Mrs Jenny Edwards, Business Manager, at jenny.edwards@woodlands.southampton.sch.uk. I hereby confirm that the information submitted in this Subject Access Request is true and accurate at the time of completing this form and would therefore request that Woodlands Community College provide me with access to the information regarding the data subject as outlined above.